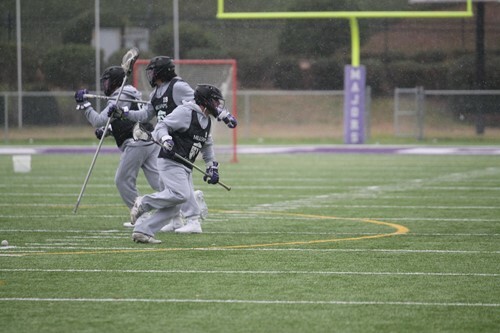 The Millsaps men’s lacrosse team is off to program’s first ever 2-0 start after intense, come-from-behind victories against Piedmont College and Hope College. In last week’s road game against Piedmont, the Majors trailed by five goals in the first half, before rallying hard in the second half to win by one point. Academic All-American and senior co-captain Jack Houtz led the team with four goals, including the game winner in the fourth quarter. Fellow seniors Simon Sherman and Parks Douglass also contributed a pair of goals each in the victory. While the seniors carried the squad with their experience and skill, the freshman players also contributed a handful of goals in their debut as Majors. Sam Snyder and Garrett Perez scored two goals each. Snyder was able to score a crucial goal with seven minutes remaining in the game to aid the Majors’ rally. In this weekend’s home opener against Hope College, the Majors faced an 11-8 score with 10 minutes to play, before scoring four unanswered goals, contributed by Sherman, Douglass and Perez, to win by one point. Perez, Sherman, and Houtz all scored three goals, while Douglass had two and Snyder had one. The Majors’ strong offensive play is complemented by solid defense, especially Riley McLean, the team’s junior co-captain and goalie. McLean recorded 18 saves against Hope, and three against Piedmont. Third-year coach John Hoeffler remarked after the win against Piedmont, “I’m proud with how the guys battled back today.” While the Majors play Piedmont regularly, this was the first time in program history Millsaps won the contest. With the program’s best start, and the players proving they can battle back from late deficits, Hoeffler is optimistic about this season of Millsaps lacrosse. The Majors return to action on Harper Davis Field on Wednesday to play Huntingdon College at 6 pm.